Made with beer? Check. Tastes like eggs? Check. Artificial sweetener and colors? Yes. And more alcohol than Pabst Blast. 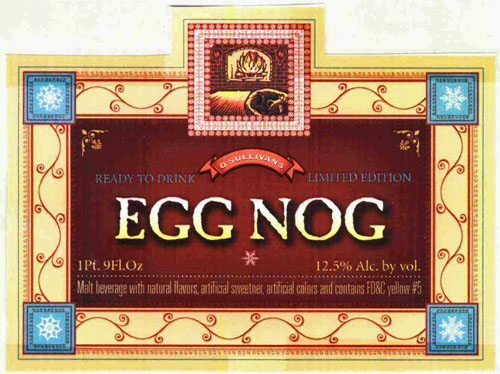 This is the Egg Nog Beer experience. Filed Under: flavored malt beverage Tagged With: ingredients, speaks for itself, would you drink it?